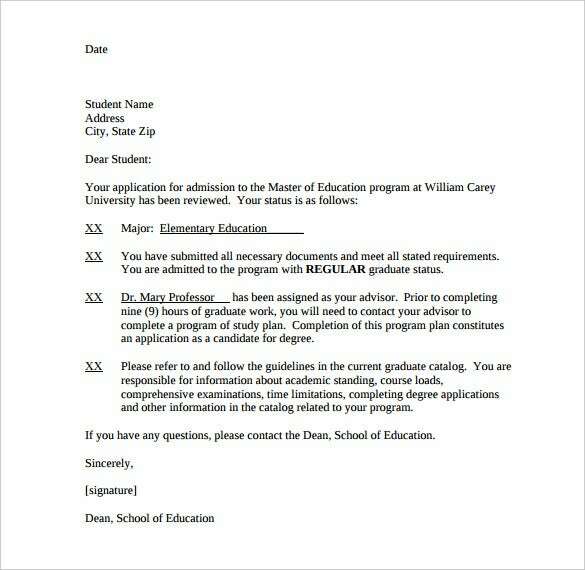 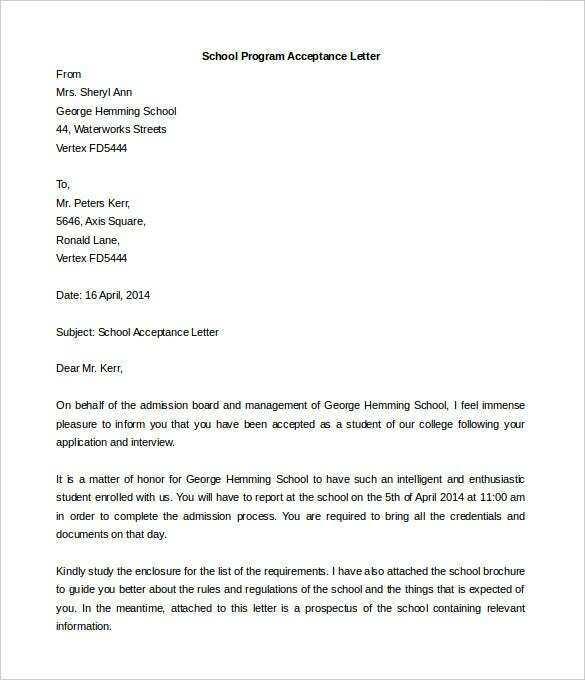 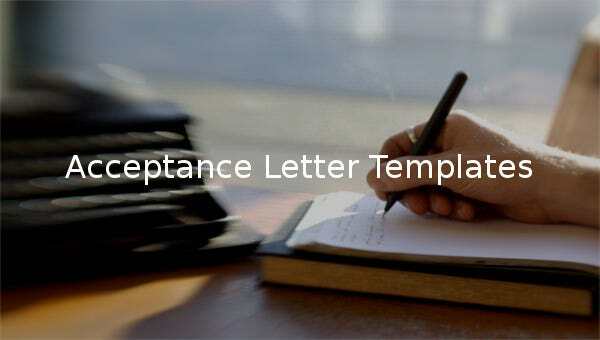 The purpose of an acceptance letter template shouldn’t be confused with the use of letter intent template. 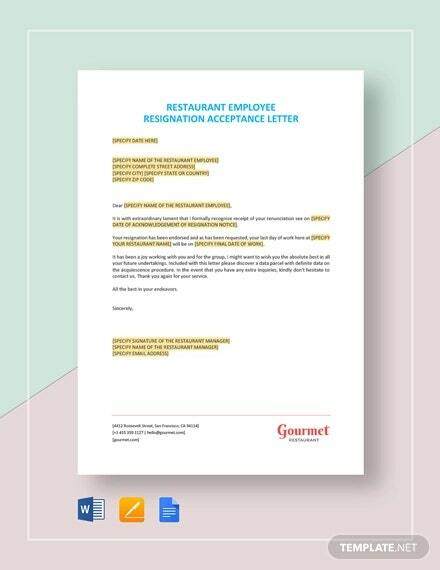 While the letter of intent often describes the need to take an action, an acceptance letter is more of an agreement piece of content, showing that an employee concedes to a situation at hand. 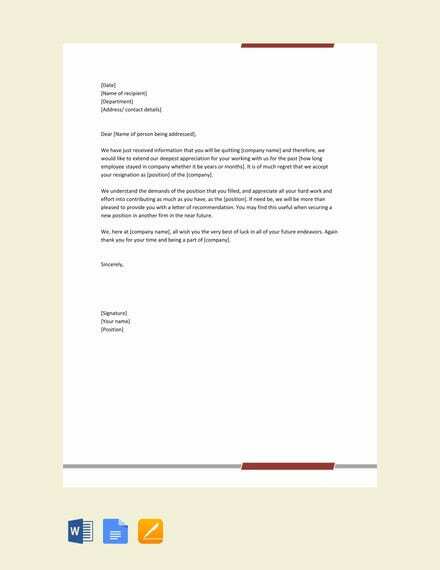 You may also see Letter Templates. 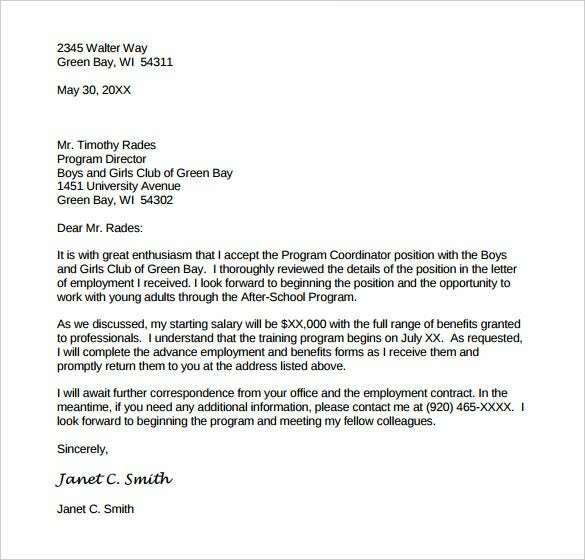 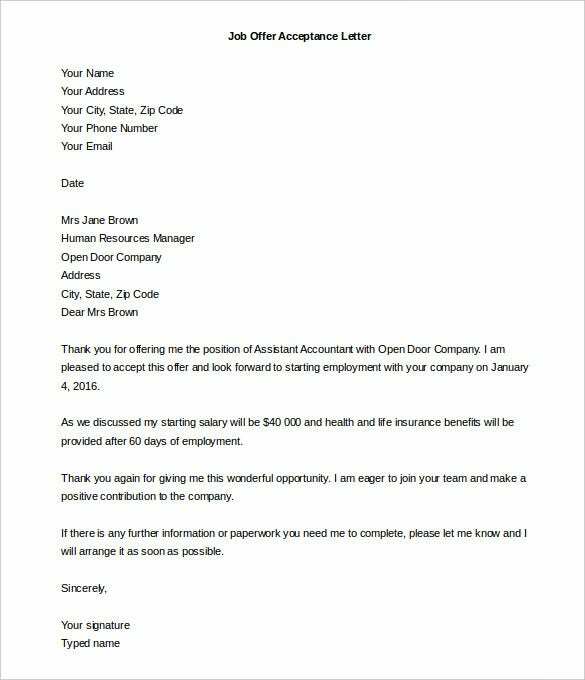 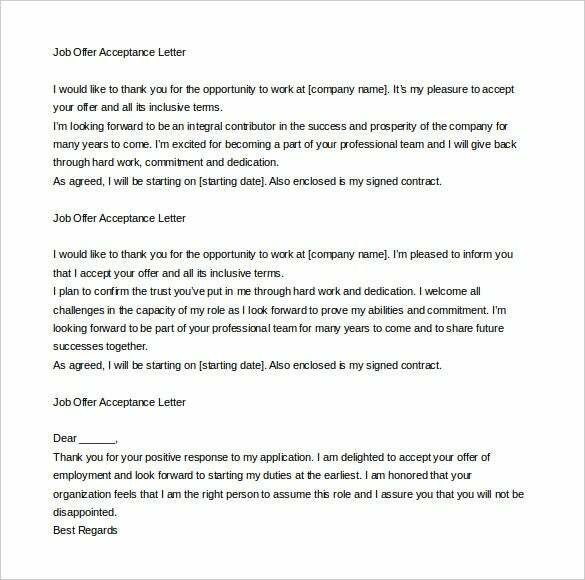 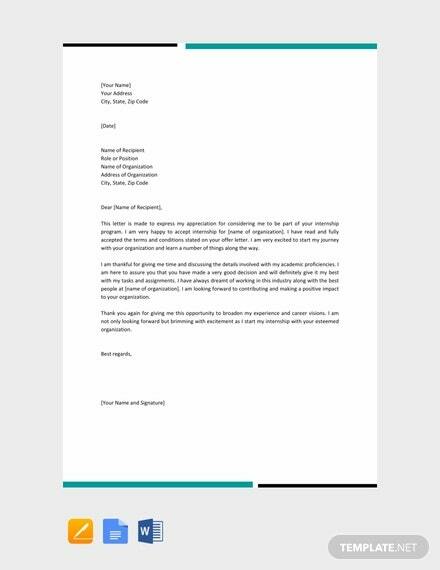 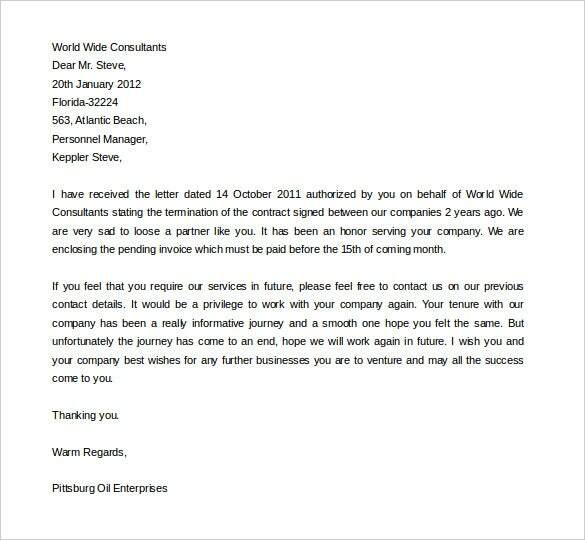 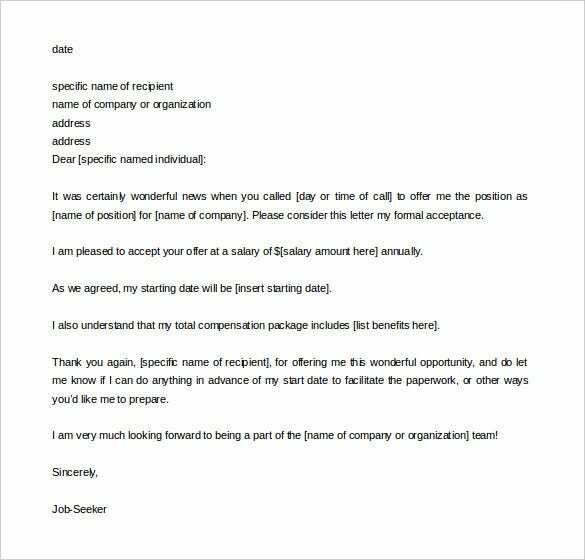 The letter is often written by an employee to the company, agreeing that they have accepted to assume a particular role in the company, or to quit their position and leave the institution. 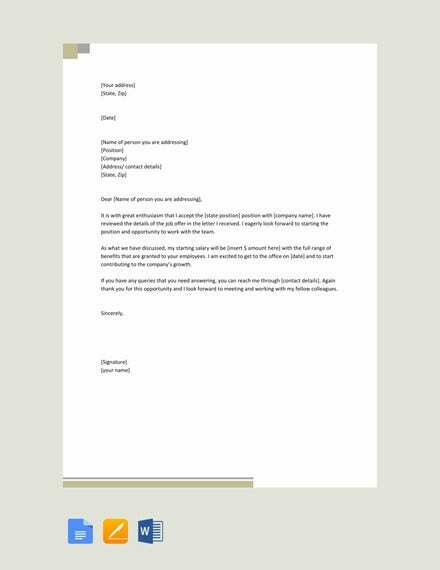 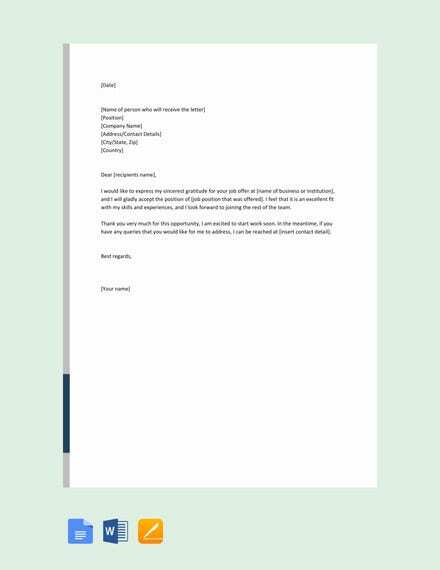 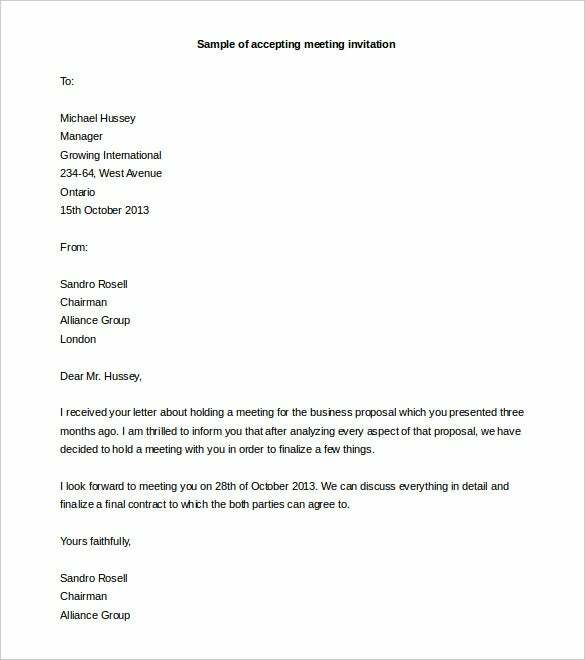 A letter template like this is written based on a number of circumstances, and it is best you know why you are writing it before you put down words on paper.